The sugar-tea solution is fermented by bacteria and yeast and is commonly known as a“SCOBY” (symbiotic colony of bacteria and yeast). You can make kombucha yourself at home or buy it for $3-5 a bottle at most health food stores and some coffee shops. An article published in the journal Food Microbiology has established that the following probiotics make up this health elixir. Personally I use Aqua Vita because it’s local and comes on tap with different flavors I can mix. I like to mix the ginger with the turmeric for the health benefits of the ginger and turmeric in addition to the benefits of the kombucha. I refill a gallon jug once a week. For those of you who have never had it, it is fuzzy like soda but do not classify this with soda by any means no, no, no! Clinically proven to decrease oxidative stress and related immune-suppression, a powerful antioxidant known as D-saccharic acid-1, 4-lactone (DSL) has been discovered during the kombucha fermentation process that is not found in black tea alone. Also, we know the probiotics found in kombucha support the immune system. President Reagan reportedly drank kombucha daily as part of his regimen to battle stomach cancer. WARNING, DO YOUR OWN RESEARCH, KOMBUCHA CAN GET CONTAMINATED IF NOT HANDLED PROPERLY WHEN MAKING IT YOURSELF!!! Here is a simple recipe for making your own kombucha at home. This recipe makes about 8 cups of kombucha, but you can also double the recipe to make more and you will still only need 1 SCOBY disk. 1 large glass/ceramic/metal jar or bowl that has a wide opening. You want to avoid using a plastic jar or bowl because the chemicals in the plastic can leach into the kombucha. Look for a big jug/jar/or bowl online or in large kitchen stores and make sure the opening is wide enough to allow a lot of oxygen to reach the kombucha while it ferments. 1 SCOBY disk. You will need to purchase a “SCOBY” disk and can find one either in health food stores or online at very inexpensive prices. A SCOBY disk can be vacuumed sealed in a small pouch and shipped directly to your house for only a few dollars, while still preserving all of the active yeast ingredients. 1/2 cup organic cane sugar. *You do not want to substitute this for another kind of sugar, honey, stevia, or anything else. Yes- this is one of the few times we will tell you to use real sugar! Most of it is actually “eaten” by the yeast during the fermentation process, so there is very little sugar actually left in the recipe by the time you will consume it. 1 cup of pre-made kombucha, which you can either buy or use from a previous kombucha batch that you or a friend has made. 1. Bring your water to boil in a big pot on the stove top. Once boiling, remove from the heat and add your teabags and sugar, stirring until the sugar dissolves. 3. Let the mixture cool down to room temperature (which usually takes about one hour). Once it is cooled, add your tea mixture to your big jar/bowl. Drop in your SCOBY disk and 1 cup of pre-made kombucha. 4. Cover your jar/bowl with your cheese cloth or thin kitchen towel and try to keep the cloth in plate by using a tie. You want the cloth to cover the wide opening of the jar and to stay in place, but to allow air to pass through. 5. Allow to sit for 7-10 days depending on the flavor you’re looking for. Less time will produce a weaker kombucha that tastes less sour, while a longer sitting time will make the kombucha ferment even longer and develop more taste. Usually the warmer your home is, the less time the kombucha needs to ferment. Taste your kombucha after 7 days to see if it needs more time. If you are happy with the taste, put your kombucha into smaller glass bottles (or whatever type of bottle will fit into your refrigerator) and refrigerate the kombucha for at least 24 hours to allow it to cool and finish carbonating. Once it is cooled, you are ready to drink your homemade kombucha! *Note that as the fermentation process happens, you will notice that the SCOBY disk “grows” a second SCOBY disk. Many people call the SCOBY that you purchased and used to make the kombucha the “mother” SCOBY, and the second SCOBY that grows the “baby”. The mother SCOBY is located on top of the baby. You can actually use the newly formed baby SCOBY to create a whole new batch of kombucha, so you don’t want to throw out the baby disk. Store the baby SCOBY in a bit of already-made kombucha in a glass jar while you are not using it, so you have it on hand to start a new batch when you want it (it will stay “active” for several weeks). Throw away the mother SCOBY once your kombucha is finished fermenting. The recipe above is for a basic unflavored kombucha. You can try adding unique flavors like fresh squeezed lemon or lime juice, ginger root “juice” made by blending ginger and water, blended berries, fresh squeezed orange, pomegranate or cranberry juices, or many other natural and low sugar flavors. 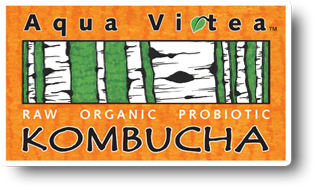 People who have compromised immunity due to certain viruses like HIV/AIDS will need to be careful about consuming kombucha, since there is always a possibility that the yeast can grow harmful fungus and bacteria that can possibly cause illness. This is especially true of homemade kombucha where contamination is more likely to happen if it’s brewed in an unsanitary environment. While kombucha hasn’t been studied much at all in pregnant women, there is always concern that pregnant women should not consume alcohol or caffeine, both of which are present in kombucha in small amounts. Before more formal research is conducted showing that it’s completely safe, pregnant women are advised to air on the safe side and avoid kombucha. 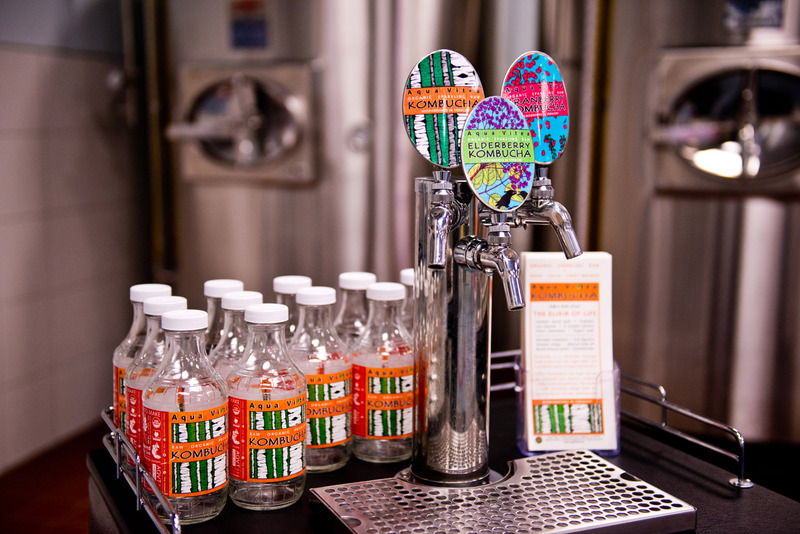 Kombucha is brewed using black sea and sugar, which when fermented turn into alcohol is very small amounts (only about 1% of kombucha is believed to be alcohol). For people with existing diabetes, kombucha likely won’t cause much of a problem considering it is very low in sugar (about 2 grams per 8 oz.) but it’s worth being careful about and monitoring blood sugar levels and related symptoms. For those with digestive problems like IBS or anxiety disorders, the low level of caffeine in kombucha is also something to be conscious of, since caffeine can sometimes aggravate these conditions. As you can see kombucha boasts many health benefits and you can even make it yourself for a very low cost, so you always have some kombucha within arm’s reach! So drink up for your health. Have you ever made or consumed kombucha? Do you consume it for the health benefits or for the taste? Personally, I buy my Kombucha from my local health food store and it comes on tap fresh from a Vermont company. I refill my gallon jug once a week as I noted in the beginning of the article. I’ll admit, I’m too scared to make it myself. www.facebook.com/kathrynzkreationz1 = Please “like” me, FB! Categories: Build Immunity, Cancer Prevention, Health, kombucha | Tags: cancer prevention, detoxification, digestion, energy, immune support, joint pain, kombucha, leaky gut | Permalink.